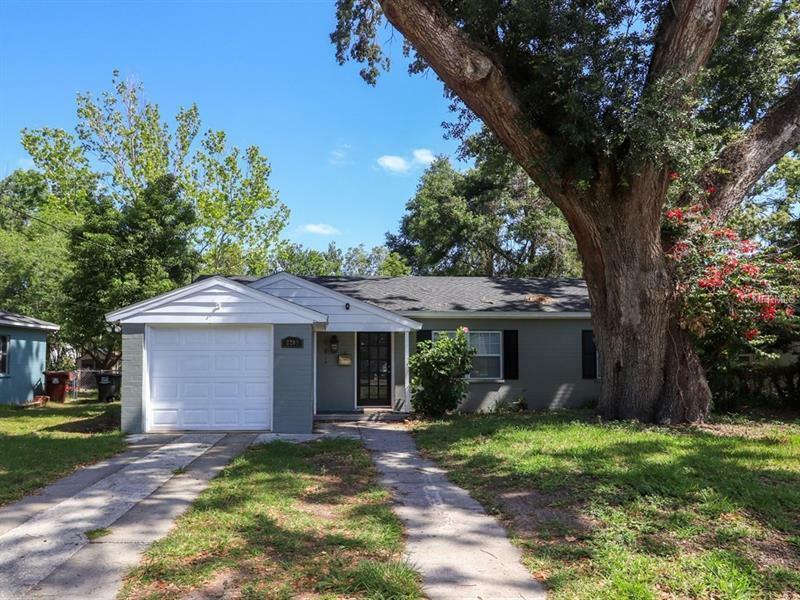 Beautifully restored mid century 2 bed/1 bath 1162sf ranch on quiet tree lined street in downtown Orlandoâs Colonialtown South neighborhood. Nestled between the up and coming âMilk Districtâ and Colonial Drive shopping areas this wonderfully renovated home mixes location and old world charm with all the modern amenities we desire. New white shaker style kitchen with stainless appliances, white quartz counters finished off with detailed backsplash opens to well lit living areas with wide plank natural finish wood flooring flowing throughout. Cozy rear facing family room overlooks a large covered patio within gigantic enclosed yard with plenty of room for addition or pool. New bathroom, roof, paint in and out & AC, along with upgraded electrical, plumbing and nearly new windows and doors make this turn key property a must see!